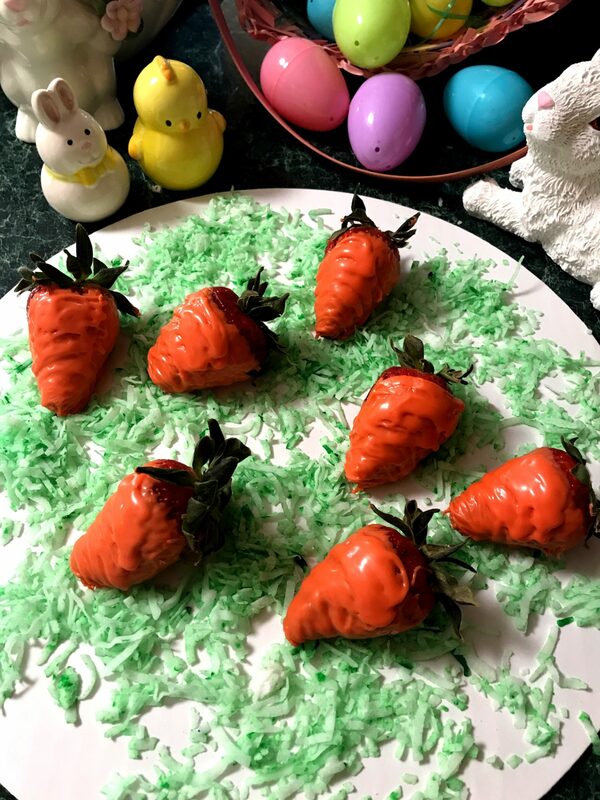 Children will love decorating strawberries at Easter just as much as dying eggs. 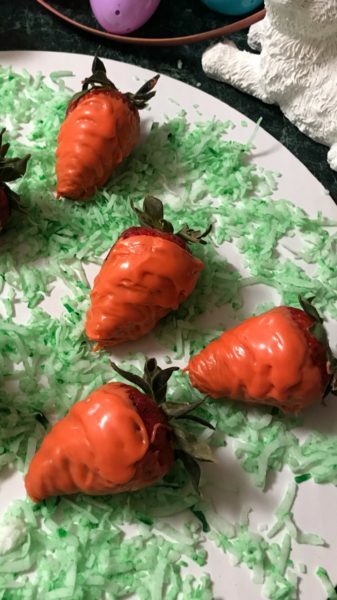 For “carrot” strawberries: dip strawberries in melted almond bark dyed orange. Set on parchment paper to dry. To create the natural ridge effect. Pour the remaining orange bark in a baggie; snip a very small hole in one of the corners. Using a back & forth motion create the ridges. Dry on parchment lined cookie sheet.